When I got the new promos from the new Vikings season 4 you could imagine how I felt. In this blog, I will try to get the storylines from different characters in the line. I will try to get the mythology in it where ever I can to explain. I will also try to get as much information in this blog as I can. I only have to say one more thing before I start I don’t know if I am telling the truth behind it all so this based on speculation so forgive me if storylines don't seem right afterward. It will be a big blog with a lot of explanations and guessing. Ragnar is between living and dead if we see him leaving in season 3 so what is up for him in season 4. He will meet the slave Yidu, attacked by Bjorn, try to raid Paris again, raid in Wessex again, arrest Floki by Bjorn. Will he find out he have a child with Kwindreth? Then there is something with snakes if you know the stories you know what the snakes will mean. What I don’t understand is how the snakes come to the great hall but that could be misleading. Will he met Harbard in the end or is there something else to involve Harbard. Is Ragnar going to change religion again by meeting Yidu? How about his relation with Lagertha, Aslaug and Yidu and what will change the relationships between the women? How about his relation with brother Rollo who vanish from the promo with Ragnar’s vision or opinion? We know he will betray him once more but like one of the promo’s starts power is dangerous. Power is something others wanted. Power can only be built by blood. Rollo told him when he thought he was dead that he would love to have that power. So this will be intriguing between both. About power everyone wanted it. Aslaug is also one of them by asking by the seer but she knows one day Kattegat will rule by a woman. The question is who Aslaug (but what the seer told her she isn't the one) Lagertha or Yidu if we look into the promo’s and pictures posted by the cast I think it will be Lagertha but will this be with or without Kalf. Will she be married again with Ragnar, but with new betrayal underway by Ragnar will she accept it? Is this why she will kill all the men? I do think there will be a change in power with the arrest of Floki by Bjorn. I think Ragnar will give his power away to Bjorn either by his own dead or by challenge Bjorn if he could arrest Floki to see if Bjorn is ready for such power. Yidu is a slave we don’t know yet if she is the slave of Halfdan, Finehair, Rollo, Bjorn or Eckbert. Although we have seen the audition off Yidu then it will be the slave of Rollo. Is this again a twist between brothers over the second girl like Lagertha once was. Harbard (Odin) is a tricky one to tell. Is he coming back to Kattegat to help Ragnar get back from the dead? Or is he get a change in religion (Yidu’s religion) again like he did the last time? Or is he going to get Ragnar’s live? Is he going to get the woman crazy again does he bring death again. One death for the other. Is Ragnar like Athelstan have the same thing (Athelstan kept between religion and just before Floki could kill him he believed in the Christian god again) Will this be the big change for Ragnar from kept between three religions (pagan/Christianity/ Yidu’s religion ) to the pagan belief again. Does he bring Ragnar to Walhalla? Ragnar and Athelstan’s relationship will go to change as well. 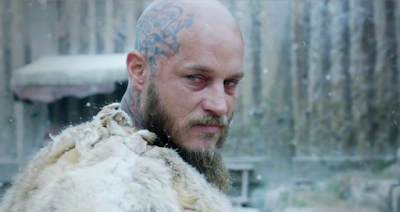 Is Ragnar’s Christian believe hold after he will meet Yidu? Will he revenge Athelstan? Is Athelstan coming back from the dead if Ragnar meets his son in Wessex or does this relive old times will he be shocked to find out Athelstan has a son. Will this bring Ragnar back to Christianity or Pagan when he finds out or will he be torn between the three religions? Bjorn to leave Ragnar and go raid on his own. Does he want to go on his own? 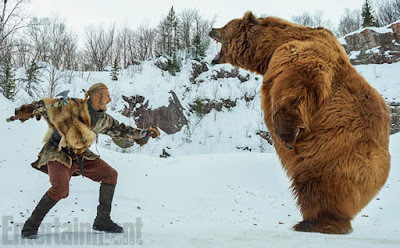 Does Floki keep him safe from the bear? Or is the bear Floki shape shifting like the god Loki? Or is this Aslaug try to tell Bjorn the story of Hild and Sigurd like in the Tolkien books? Or is it to do with meeting roman and greek gods in other countries like in Athens or is it the reference to shape shifting? Or is it the mythic god Frigg, Odin (Harbard), Loki (Floki) from the Vikings which is the origin of all these stories (Encyclopedia Mythica, Wikipedia, timeslipblog.wordpress.com, and timothystephany.com). At this, I needed to think a lot the story I already thought it would be but couldn’t find any suggestion that could give consideration to my thoughts now I have. That Bjorn will attack his dad is for sure the stills from some of the Facebook pages don’t lie about it. It is also in the stories that Bjorn will do combat with Ragnar together with his brothers. We shall see what happens. What could be the case is that Ragnar will betray both Lagertha and Aslaug this will cause the anger Bjorn already had to his dad. His other brothers could be feeling the same way and this will lead to attacks from the brothers. Bjorn will lead in some way. Take his brothers on their first raid (together with Ragnar we are not sure about this.) In some way, they can see the power of Ragnar/Bjorn grow. Firstly when they return to Kattegat. The arrest of Floki and in the promo’s when they call out Ragnar by Bjorn’s powerful voice. 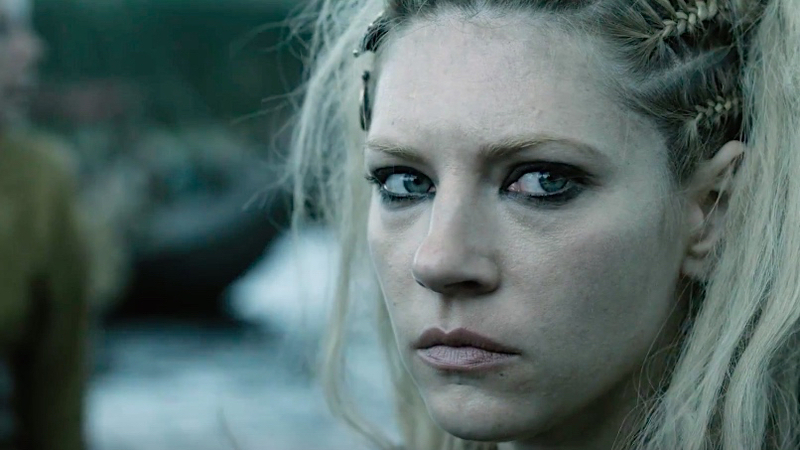 Lagertha will show a power pack when she is back home not only in Kattegat but also the betrayal of Einar. She will punish Einar for his betrayal. But I do think she will Kalf punish as well if she finds out of his betrayal. Is it not Einar in the promo but Kalf. Will she meet King Eckbert again or is she the one going to kill the men of Eckbert? There is a picture from her were we see a lot of men killed. It could also mean that Einar’s men are seeking for revenge. Is she going to rule Kattegat when Ragnar is gone or is she the one the seer told Aslaug about? What will happen when she meet Yidu. In the promo’s, she is also losing Rollo sight is this because he lives in Paris or will something else happens. Will she marry Kalf or kill him. Will she marry King Eckbert or perhaps kill him? Time will tell. She definitely will protect Helga. No matter what happens to Floki. In the picture, Floki stands next to her and watching over Bjorn. Maybe the combination Floki, Bjorn, and Lagertha will be the best yet to come. Will they back each other by betraying Ragnar? Aslaug staying Queen or does Ragnar have something else in mind. How will the children of her grown up when they come back home. Will Harbard come for her because I have the feeling Ragnar will kill her for the priest she killed? Will she meet Yidu and then got killed? I know she will see the rise of Lagertha because the seer told her. She will use her sight to see what is going to happen. Because of her sight, she could also vanish with Harbard or disappear. If we talk about Rollo betrayal is the first thing that comes in mind. But will it be a betrayal. After all, Ragnar left Rollo behind not knowing about Rollo’s prophecy. Rollo is marrying princess Gysla like the seer told him but is he really going to dance naked on the beach I doubt it. First things first he is going to train the French to battle. Like in the promo’s he need to have the attacks from Ragnar’s vessels in France. He needs to build a bigger army. Is he going to Wessex to get that bigger army or is he going to conquer the rest of France to do that? If he is going to Wessex is he specifically after Eathelwolf who is out of reach from his dad or is Eathelwolf defeated in France by Rollo because they will try to attack Paris. What is the alliance between Eathelwolf and Rollo? Or will Rollo kill Eathelwolf during a battle which seems unusual because he would have killed him before. When Ragnar tries to attack Paris again I think princess Gisla have tried a couple of times to kill Rollo. Except Rollo is aware she wants to kill him. He needs to keep his promise to his father in law. Is Roland a great help to Rollo when it comes to betraying the emperor. What if Roland went to Wessex to build an army for Rollo because Rollo can’t leave French for his father in law. Or is busy with Ragnar’s men. Will they force an army big enough to defeat Ragnar or defeat the emperor to get Ragnar what he wants? What will be Rollo’s destiny will he kill princess Gisla or will he allow her to cheat on him with for instance Roland. He will betray princess Gisla in the end with someone else. Another possibility could be that he teams up after that with Lagertha. He could be the inventor of a war system against one of the enemies. He will learn a lot from the French. He will fight and have war. One thing I am sure of is that Ragnar sends troops before he will fight against Rollo. That team killed by Rollo and his men except one to tell Ragnar about the slaughter in France or England. 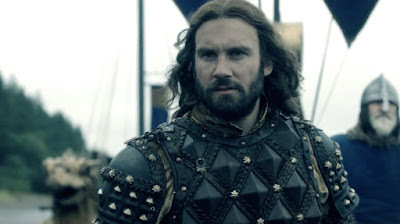 We haven’t seen a lot of Rollo’s destiny be sure we could only guess and think about it. What we do know from a history point of view is that he will raid Paris multiple times and become Duke of Normandy where he marries someone else because he doesn’t like Gisla at all. What about the combination Kalf with Rollo. If Kalf’s betrail comes out and Lagertha throws him out of Kattegat will he join Rollo in battle? Kalf could go to Roland and trough Roland to Rollo. I think Roland could have a big role in picking the army Rollo wanted. 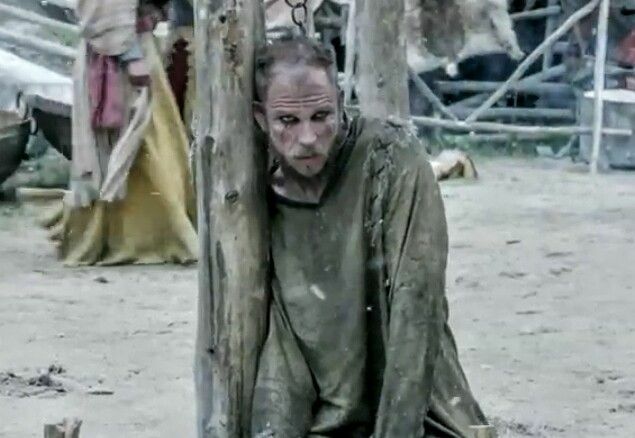 Floki arrested by Bjorn. The fleet of Halfdan/King Finehair will free him although we are not sure about it. We see him on the boats of both. Will Bjorn regret the arrest and free Floki? Anyway, Floki will be bound like Loki. He will be free at some point. But will his religion issue stay if that will free him? Is it just a matter of time that he will be Christian. Will he stay truth to the gods when a third new religion arrives in Kattegat? Or will he be the one among others to tell that pagan is the one and true belief. Or will he try to understand Yidu’s religion or Christianity. Will he shape shift again this time into a bear who attacks Bjorn to let him know he was wrong about the arrest? Will he do the same thing as Loki did before he got arrested? Does he even get the time for this? Or let he show them that he could shape shift during his arrest? Is Harbard going to free him? Be Harbard and Floki teaming up to get Ragnar back to paganism? Or is Harbard getting Floki to Walhalla? Is Floki the first one to die in season 4. I think that the relationship between Judith and King Eckbert will better. He will do whatever it takes to protect Alfred from Eathelwolf. I think he will send Eathelwolf away again on a killing mission again and by killing I mean one of the men will try to kill Eathelwolf again. This time, he will find an alliance in either Rollo, Roland, Kwindreth or Bjorn. During that time, King Eckbert will try to get Judith pregnant by his child. He sees her as the virgin Mary because she gave birth to Alfred who was from Athelstan and Judith. Alfred will grow up and will look like Athelstan. King Eckbert seeks power over England by that knowing he will try to kill everything that is in his way by becoming the King of England. He needs to get of Kwindreth but she is one to keep an eye on because she is very unpredictable. Ealla needs to kill someone for him. He won’t get his hands dirty on illegal things like killing. He gets it done by either Eathelwolf or Ealla.